Today is my FIRST MONTH as a blogger!! yeeeii thumbs up for me!! Quiero agradecer a los lectores y a los seguidores del blog por ser parte de este proyecto, del cual me confieso adicta!! !, no se pierdan los siguientes post!! y si es la primera vez que visitas el blog me gustaria saber tus opiniones! todas son bien recibidas! Así que estamos en contacto, leo todos los fashion blogs! no olvides en seguir a THEPANSYnFANCY! I want to thank u, my lovely reader and lovely follower for being part of this proyect that i´m confess, i´m addicted!! so please don´t miss the next post and if its your very first time on this amazing blog i´ll love to read your thoughts about the blog. Love cupcakes:-) and love your blog too..
Time flies when you are having fun ! Keep up the great work ! Yummy! Just found your blog off another fashion site, love your style! Please swing by my blog if you have time. I have a new post up about Nautical Fashion trends. Felicidades!!! Siempre es bueno ver blogs frescos como el tuyo ;) espero ver seguido tus post!! besooo!!! Esta muy bueno tu blog, de verdad!! Thanks for commenting on my blog. Those cupcakes look yummie, keep on blogging, I will be back for sure! i follow u, hope u follow me back,stay lovely. Felicidades en tu primer mes como blogger! El vestido que traigo en el post es de H&M. I'm following =) Love your style! everything looks so good! 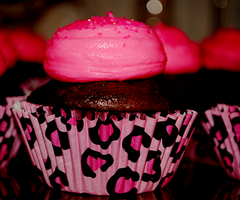 i love cupcakes! of cours I'll follow you. Want to follow me back? 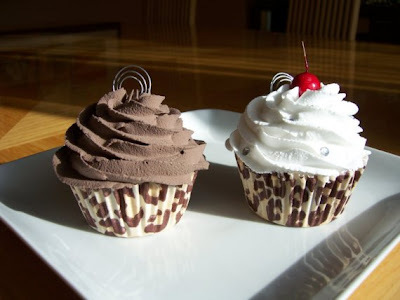 Hi really like your blog :) And those cupcakes look yummy hehe. Wow, the cupcakes are yummy! I love your blog!!! It's awesome. I am now following your BLOG!!! Hope you'll check mine and follow back too if it would be okay with you :) Thank you and take care. Yummy, yummy. these cupcakes look sooo nice, and eat-able! the biggest thanks for your comment, i'll follow you, and youre post is so inspirational. Congratulations honey!! !This post is so sweety ;)! Felicidades por tu primer mes :) beso! te siguo muchos besitos y suerte!! !